The Volcano that erupted with such sudden fury Sunday evening, known locally as Volcan de Fuego (Volcano of Fire) is Just 30 miles from Guatemala City, the country’s capital. Although it appears there were concerns about a possible eruption in recent times, it was thought that the danger had passed, and no mandatory evacuation orders were issued to people living in its shadow. As well as being exposed to lava flow, intense heat and gas, huge amounts of ash were dumped on villages around the volcano. The confirmed death toll stands at 69 but there are concerns about unknown numbers of people who may have been buried underneath tons of ash. Intense heat in the affected area has made it difficult for rescue teams to fully assess the situation, and subsequent rainfall has turned ash in some places, into mud. 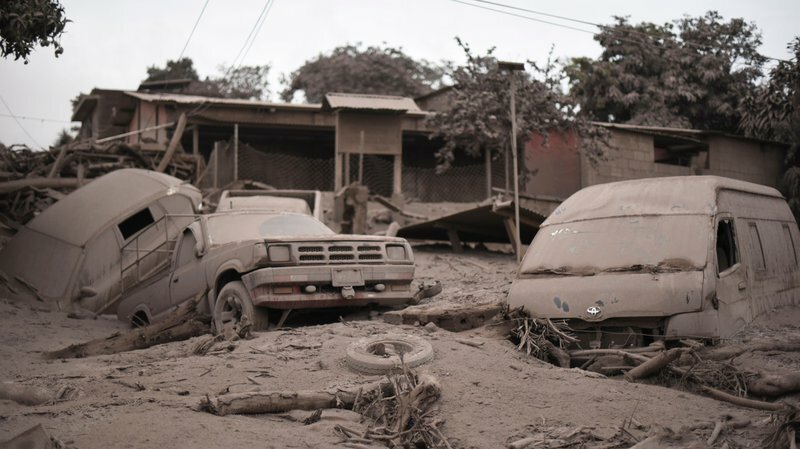 Guatemala is a poor country and disasters such as this one can cause huge disruption and displacement to the living, as well as destruction of infrastructure that may take years to replace. Authorities have indicated that as many as 1.7 million people (10% of the population) may be directly or indirectly affected. ChildFund runs a number of child sponsorship programmes in Guatemala where disadvantaged children from poor communities are supported in a host of ways. We are awaiting a situation report from ChildFund staff and partners in the field, and will update our sponsors on developments in Guatemala as they become more clear.